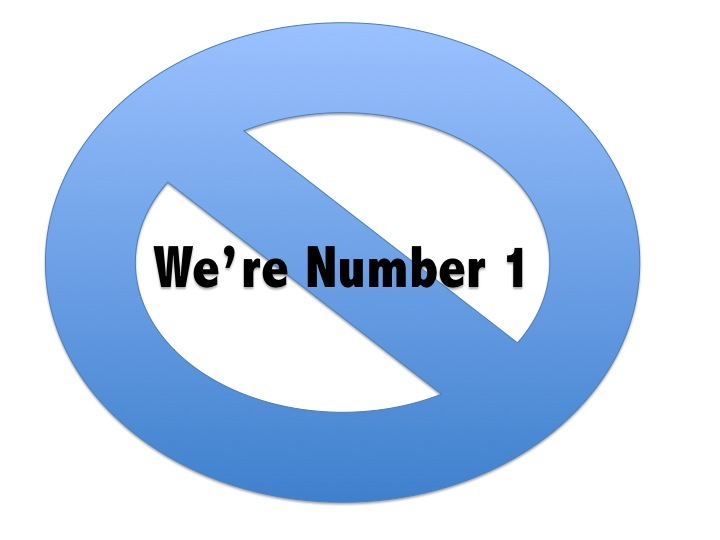 I read an interesting piece in the Harvard Business Review, “The Danger of Touting a Product as The Best” by Jingjing Ma and Neal Roese, on why touting your game or product as the best can backfire. Ma and Roese show that positioning your product as the best in comparative ads actually activates a maximizing mindset with customers, where people regard anything less than perfect as a waste of money. While there are some people who are always maximizers (that is, they consider anything not perfect a waste), with most people this attitude is not fixed. In Ma and Roese’s research, you can induce the maximizing mind-set with situations that encourage customers to make comparisons or to look for the very best product. Once this is activated, the customer may face post-purchase regret and be more likely to switch to another product after a minor disappointment. 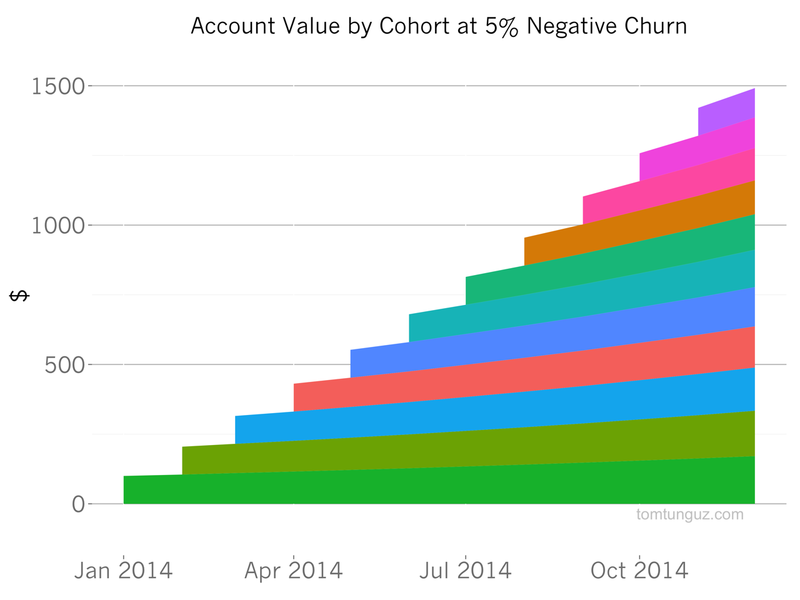 This phenomenon is particularly powerful in the free-to-play game space, as losing users early has a very powerful impact on lifetime value. Think twice before running comparative ads. Limit assertions of optimal features. Do not claim overall to be best, even if you are very good. Telling customers your product is the best can backfire because it sets unreasonable expectations. Limit your assertions of optimal features. While almost everyone now accepts the value of analytics and metrics-driven decision making, one area where it is often neglected is in implementing innovation. Even data driven companies are hampered in implementing innovation because their data is backward looking. In the absence of sufficient data to inform decisions about proposed innovations, managers often rely on their experience, intuition and conventional wisdom, and none of these is necessarily relevant. Although many of my readers are from the mobile game space, where much is tested, even in the game space pure innovation often is not. 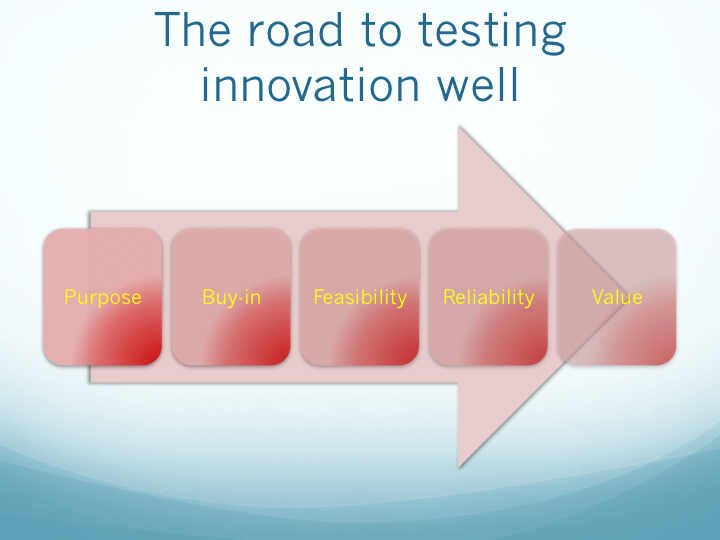 An article in the Harvard Business Review, “Increase your chances of success with innovation test-drives” by Stefan Thomke and Jim Manzi, does a great job of showing how to test these hypotheses. As more companies use virtual events as part of their growth and engagement mix, it is increasingly important to be able to evaluate the effectiveness of the event. 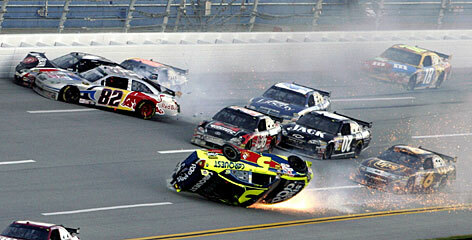 I have used virtual events multiple times and it is an element of our growth mix. Simply having the event is not a success; you need to measure and evaluate it. Has the event been worth the time and resources devoted to it and should you replicate the event? How can you optimize future events so they have a bigger impact on your business? I read a recent article on MarketingProfs that offers some great advice on what you should track on your next virtual event. 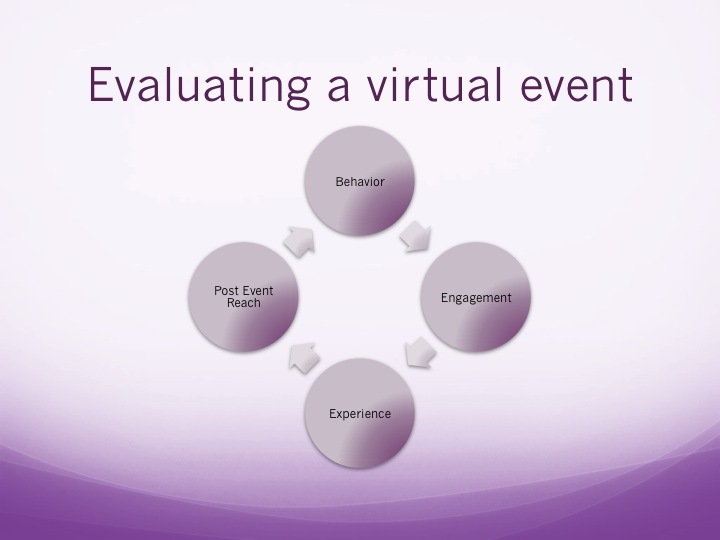 Unlike physical events, with virtual events you can measure much of the attendees’ behavior. You can see which content they interact with and how they engage with other attendees and speakers. Although many refer to themselves as industry thought leaders, few understand what a thought leader represents. By leading, true thought leaders initiate new ideas and strategies that others follow and eventually becomes the new normal. While everyone agrees that companies need to innovate to succeed, actually doing it is often quite challenging. While most successful companies can lay credit to some innovations, most have occurred by chance and the companies actually lack an orderly, reliable way to innovate regularly. A recent article in the Harvard Business Review, “Build an Innovation Engine in 90 Days” by Scott Anthony and two of his colleagues, does a great job of laying out a tactical plan to help your company to innovate. While some companies address this problem by building large—and expensive—innovation centers or R&D facilities, Anthony shows there is a middle way that almost any company can pursue regardless of resources. In many ways, what Anthony describes (and the term he uses) is the equivalent of the minimum viable product (MVP), from lean start-up fame. 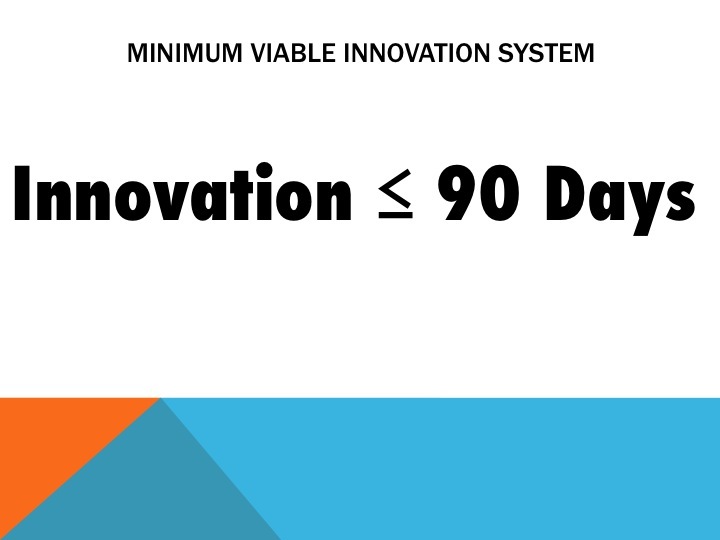 In this case, it is a minimum viable innovation system (MVIS). There are four phases to building such a system, and it takes about 90 days. There are two types of innovation: improving existing products or operations, and generating growth by reaching new customer segments or markets. For an innovation program (including an MVIS) to be successful, everyone involved must understand the two types of innovation. If your team fails to make this distinction, you increase the likelihood that you either discount the importance of innovations that strengthen the ongoing business or demand too much revenue from the new-growth initiatives too early. Innovations meant to improve the core business (the former of the two innovation categories) should be tied to the current strategy and managed mostly with the primary organizational structure. The return on these projects will be relatively quick with high initial returns and thus should be funded at scale.